Who is my contact at Fresh Baby? We value the importance of personal service. You will have an Account Manager assigned to work with you. Just give us a call, let us know the state you are located in and we can connect you with your Account Manager. You can call or email your Account Manager with a quote request. If you prefer self-service, you can go to our web site to create a quote request in the products section. Once submitted, your request will be sent to your Account Manager, where they will create and send a sales quote for approval. Your Account Manager will send you a sales quote for your order. You can either print it out and fax it to 1-888-747-3247 or approve it online. To approve it online, you will need to sign it and indicate terms (Net 30 or Credit Card). If you select credit card, you will be able to complete the purchase after the quote is approved. How is the total cost of my order determined? We offer volume discount pricing. Simply put, the more pieces of a product you order the lower the cost. English and Spanish versions of the same product can be combined for a volume discount. The total cost of an order is calculated by adding the product line item totals (less discounts) and the cost of shipping. When you speak with your Account Manager, please share the promo code. The sales quote will be developed using the promo code discount. If you are creating a quote request online, there will be a field to enter the promo code. How is shipping calculated for my order? Shipping is calculated by weight, the number of cartons and shipment destination(s). We aim to offer the lowest shipping cost possible. If an order is shipping by truck, we include lift gate service and inside delivery. Yes. We do ship to multiple locations. If needed, your account manager will describe the logistics of shipping to multiple locations. Can a W-9 or Sole Source paperwork be provided? Yes, we accept purchase orders from government programs. We extend terms of net 30 days. Do you accept purchasing cards or credit cards? Yes, we accept American Express, MasterCard and VISA on any order below $5,000.00. Talk to your Account Manager to use a credit card on an order over $5,000.00. We strive to ship orders in 1-3 business days after the day they are received. Once your order has shipped, our customer service manager will email a ship notice with the tracking details. We stand behind our products. If there is a problem with your order, please contact your Account Manager to discuss the matter. If I have issues with my order, who should I contact? 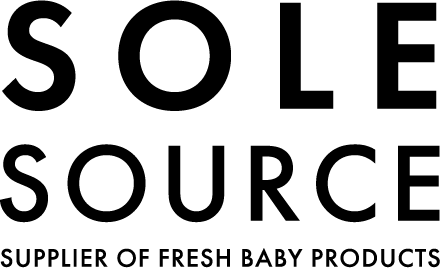 We certainly hope you have no issues but if you do, please contact Fresh Baby customer service manager, Cindy Hall, cindy.hall@freshbaby.com or your account manager. How many products are in a case? The case size for a product is listed on the product pages on the “specifications” tab.